Last November, T.Dining kicked off a new dining experience with Hong Kong Memories, a new chef collaboration series where creative kitchen mavericks work together to create a unique menu inspired by the city. For the first season, we worked with top chefs from establishments such as Francis, Bibo, Nobu, Sushi Tsubomi and John Anthony. This May, we’re introducing a new line up of chefs—both local and from abroad—as Hong Kong Memories makes a much-anticipated comeback. 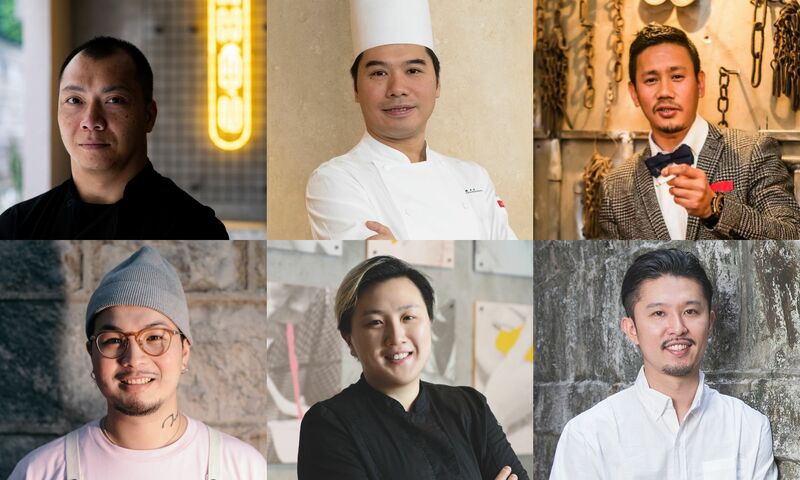 From May 6 to 8, six creative personalities in the local food scene are up for the challenge: Chan Hon-Cheong (One Harbour Road), Que Vinh Dang (Nhau), Stephanie Wong (Roots), Shun Sato (Fukuro), Jason Luk (Eat Darling Eat), and Max Gurung (I Know John) will collaborate over three nights, designing a bespoke menu of small bites featuring a unique taste of Hong Kong. The three-night exclusive dining experience invites guests into exploring a broader spectrum and possibilities of flavours inspired by Hong Kong, presented in a cocktail dinner format at Zugorama by V-Zug, our host venue. Fukuro, the winner of the Readers’ Choice award by Asia Miles at the T.Dining Best Restaurants Awards 2019, is a contemporary Japanese izakaya with a fun vibe and an equally exciting ambience. Chef Shun Sato is set to present a number of crafted nibbles created with a Hong Kong twist, including the restaurant’s caramel butter corn with star-anise infused sweet butter, as well as fried yuba, chef Shun’s take on pan-fried stuffed tofu, a local delicacy. He’ll be collaborating with young chef-patron Stephanie Wong, who founded her restaurant Roots in early 2019 after a successful pop-up at Twins’ Kitchen’s PMQ Taste Kitchen. With solid French execution and Chinese-inspired ingredients, Wong’s Sun Street restaurant has been a staple in the neighborhood, impressing guests with stuffed yellow chicken with glutinous rice and caviar-topped shrimp toast. Chef Wong is set to present her locally-inspired courses such as char siu and foie gras en croute and a French egg tart. The sweet and savoury courses will be paired with bespoke libations by Max Gurung, a renowned mixologist from I Know John. Guests at Hong Kong Memories will get a sneak preview of two mixology creations that will be featured in the soon-to-be relaunched cocktail bar, set for reopening July 2019. Chef Chan Hon-Cheong of One Harbour Road, Grand Hyatt’s Chinese restaurant, is set to present his creative gourmet offerings based on his wealth of expertise of Cantonese cuisine. Chan is crafting a number of savoury offerings, collaborating with chef Que Vinh Dang, who moved to Hong Kong 17 years ago. Having worked previously at TBLS (now closed) and also the newly-opened Nhau in Sheung Wan, chef Que’s skills in French gastronomy are incorporated into his take on contemporary Vietnamese cuisine. As an active explorer of the Hong Kong dining scene, Que is no stranger to local favourites, as he aims to revamp some of the city’s most celebrated snacks and nibbles with his own interpretation. Following memories of traditional Chinese desserts during his formative years growing up, chef Jason Luk presents new sweet creations updated with a Western look without losing the essential flavours. Luk is presenting two bespoke creations to the event that is sure to deliver a sweet surprise. On the third night of the event, all participating chefs will gather and prepare two of their most popular treats from previous nights, in an ultimate tribute to Hong Kong.